I arrived in Bogota yesterday afternoon late and got a lift to the area near the airport. I had a shower and relaxed for the rest of the day. This morning I got up early but no-one was around so I eventually made it to Parque La Florida. At the entrance I saw a Great Thrush. It turns out that they are going to be quite common in South America. Their spanish name is Mirla Patinaranja. 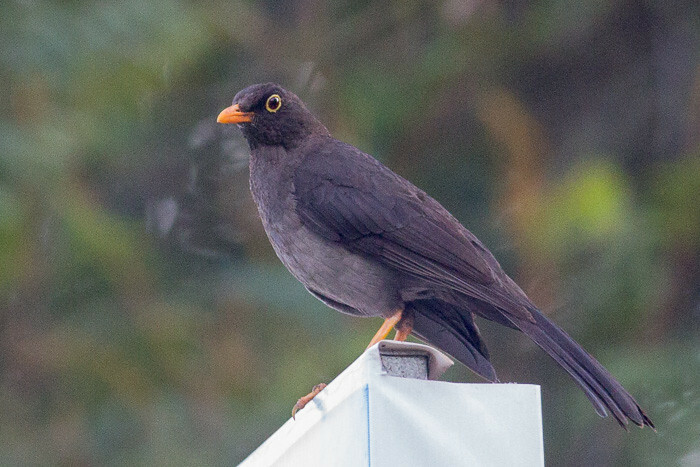 The Great Thrush has an orange bill and yellow feet. They are all blackish with a red eye and a yellow ring around the eye. I went through the park section, crossed the bridge and found some wetlands where there were a few waterbirds. 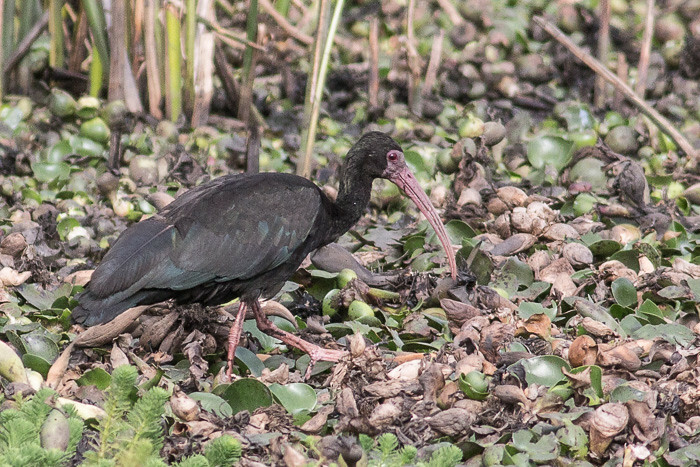 I cannot remember if I have seen Bare-faced Ibis before. 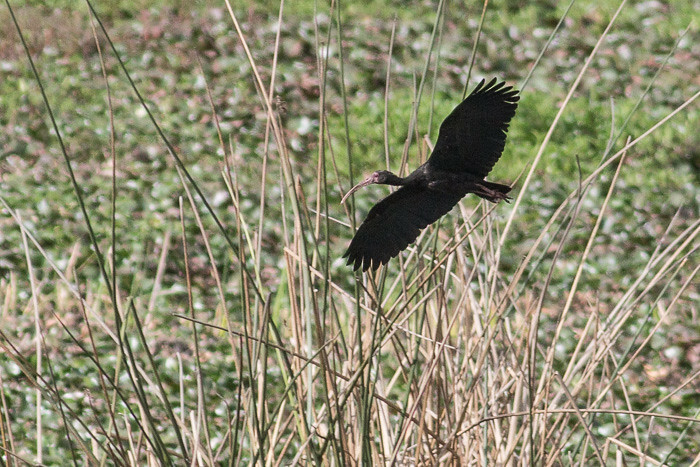 I caught a few of the Bare-faced Ibis in flight but most are out of focus. This is the best of them. Still not great. 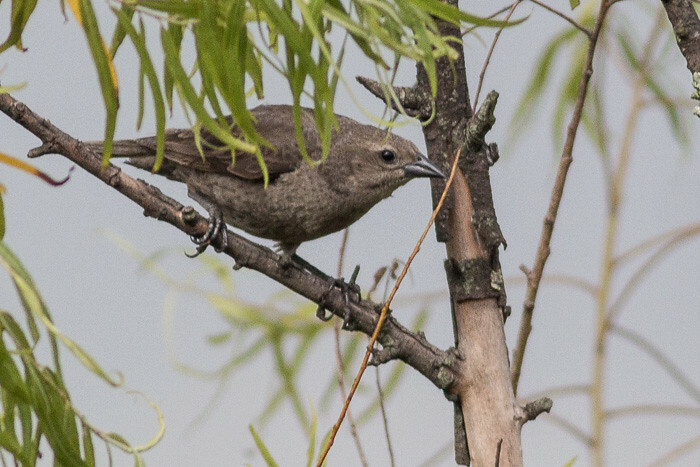 The Shiny Cowbird female is very different to the all black male. 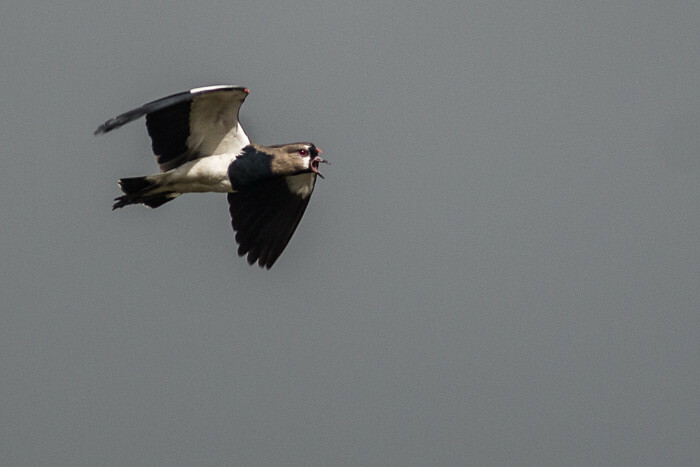 This is the standard position of any lapwing. Mouth open, screaming its head off. They are called Tero in South America and are the mascot of the Uruguay football team because they are so fierce. Or is it feirce? I forget. doh! 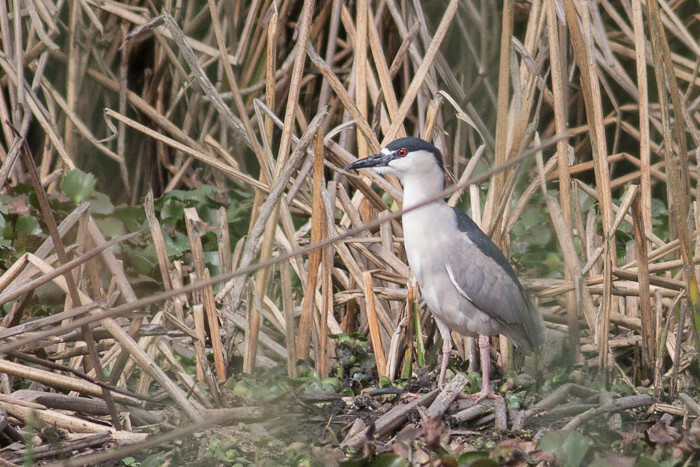 The Black-crowned Night-heron has got a pretty large range, from Asia to America. 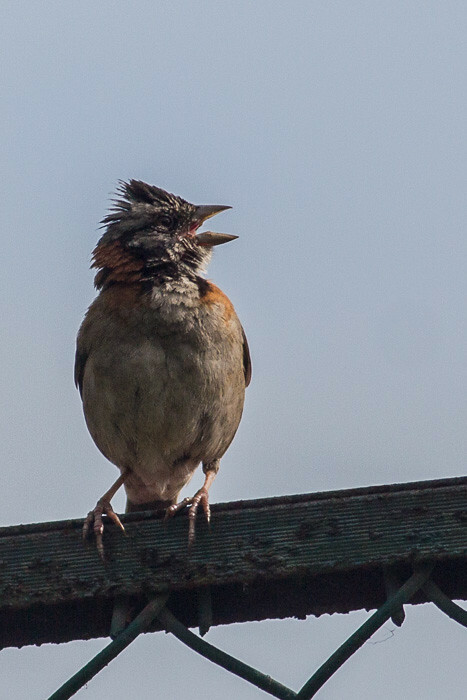 The Rufous-collared Sparrow is getting more and more common the further south I go. I still cannot resist taking their photo. They are so handsome.